The moment you enter our church, you know that we love our church with a special passion. We exist to honor God, grow a greater community of believers, and biblically empower people for life and service. All of our ministries accomplish this in unique ways. We are committed to creating a safe and fun environment where your children are taught about the Bible and the love of Jesus through relevant, age-appropriate kids services. Our ultimate hope is to see a generation of children come to know God at an early age. In order to ensure the safety of your children, we suggest arriving 20 minutes prior to service in order to check in your child and make it to service on time. Developing youth that are committed to Christ. Being a disciple of Christ is a lifelong journey. Triumph Youth aims to develop students who's relationship with Jesus will last far beyond adolescence. Here they can grow close to God and find friends who are doing the same. Our youth service begins on Wednesday nights at 6:45 PM in the 301 building which is positioned behind our main building. Triumph Worship Center is a family. Having support is a vital part of living out God's plan for our lives. The intention of our Adult Ministry is for you to know God better while finding freedom in the fellowship of others. Grow with others through any one of our Connect Groups and find a group that fits you. Serving our community is our mission. 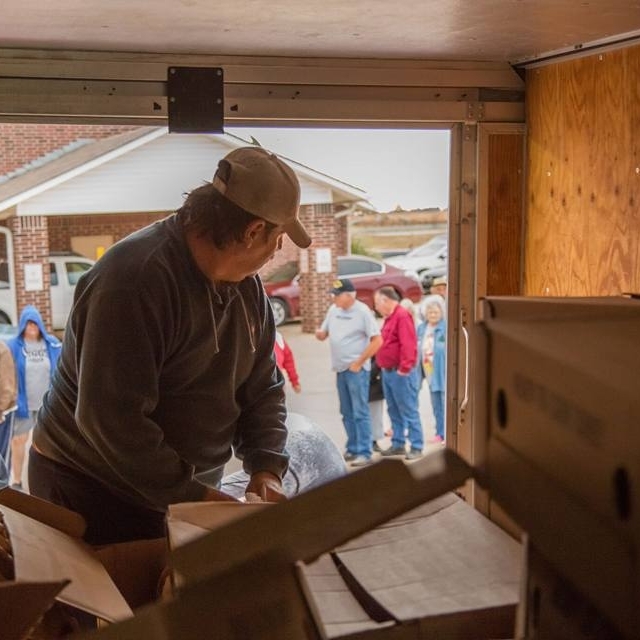 The Triumph Food Bank serves thousands of families in Glenpool and the surrounding areas each week. Our amazing volunteers love helping those in need with friendly faces and joyful hearts. You can volunteer here. Triumph Food Bank is open the 1st, 2nd, and 3rd Tuesday of every month from 4-6:30PM. Bring a photo ID if it is your first time visiting.